Speech analytics software analyzes ongoing or recorded calls and interprets emotional cues for quality assurance purposes. Speech analytics software uses similar technology found in voice recognition software where spoken language is analyzed using artifical intelligence. However, speech analytics solutions differ from voice recognition in that the latter is concerned with just speech transcription, while the former provides additional emotional analysis and performance insights. These tools can help call center representatives identify when customers are agitated or stressed, allowing them to adapt in real time or improve after the fact. Speech analytics solutions either integrate with, or are offered as a preloaded feature of, contact center software. Speech Analytics reviews by real, verified users. Find unbiased ratings on user satisfaction, features, and price based on the most reviews available anywhere. CallMiner Eureka is a SaaS-based, customer engagement and speech analytics platform that leverages AI and machine learning to capture, transcribe and reveal insight from 100% of your customer interactions. The CallMiner Eureka platform transforms the Voice of Your Customers and Agents into operational intelligence at scale. Customer Engagement Analytics delivers dialog and sentiment visibility, agent performance management and PCI-supported sensitive data redaction to enable secure sharing throughout the organization. Through automated scoring with sentiment analysis and sensitive data redaction creates awareness at scale with evidence to more effectively drive customer experience, contact center optimization, sales effectiveness and risk mitigation performance. The Eureka speech-to-text engine combines deep neural networks and machine learning to achieve extraordinary levels of transcription accuracy with sentiment analysis. An automated categorization engine merges keyword and phrase identification with word tempo, silence, agitation and topic mapping to generate insight with predictive value for uniquely informed insight-to-action. Qualitative data from your contact center is a vast resource for understanding your most impactful bottom-line issues. The challenge is converting vast volumes of audio and text based data into actionable insight. Engagement Analytics accomplishes this task by: • Converting audio with language patterns, acoustics and timing into categorized results for focus • Identifying customer AND agent dialog with sentiment to pinpoint optimization opportunities • Delivering targeted audio and transcriptions to encourage action with data-driven confidence Eureka Engagement Analytics offers a suite of applications that deliver customer experience, contact center and compliance intelligence at scale from every call. A modular cloud-based platform makes it easy to securely discover and share insight, integrate with existing systems and drive action from awareness. Eureka products span real-time and post-call analytics. Graphical user interfaces with role-based dashboards tune analytics for analysts, managers and agents. Standards-based APIs facilitate integration with corporate systems. ia.Enterprise is a quality and liability management solutions that helps with call recording and monitoring, screen capture, quality management, agent scoring, and agent scripted coaching and learning. Nexidia Analytics organizes, analyzes, and operationalizes multichannel contact center interactions - providing crucial insight into the business in order to solve the business challenges and improve customer engagement. 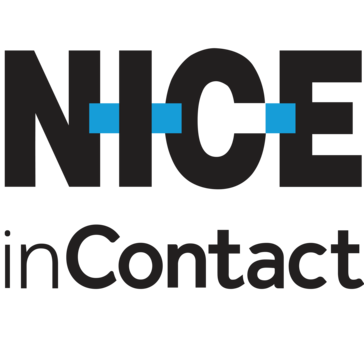 From NICE, the leader in contact center business performance solutions, comes Uptivity Workforce Engagement Management powerful technologies specifically designed to help your call center deliver a better customer experience. Hi there! Can I help you find the best Speech Analytics solutions?